Total Productive Maintenance (TPM) is a systematic proactive approach of maintaining focus on keeping parts and machines in top-working conditions, ready to do what they’re expected with fewer resources. This method aims at optimizing production effectiveness by avoiding breakdowns and promoting autonomous maintenance through a facility’s everyday performance. This approach was developed gradually, first in 1960, Nippondenso, a supplier to the automotive industry in Japan, introduced preventive maintenance. This concept was further developed as one where a facility’s maintenance activities were carried out by a workforce dedicated only to maintaining parts and machines. This approach was considered for many as a problem because it required a greater amount of personnel. In order to address this problem, the concept of TPM was developed; here routine maintenance would be performed by production operators (Autonomous maintenance), thus reducing considerably the number of workers needed for maintenance. Autonomous maintenance: It places responsibility for basic maintenance activities, such as cleaning, lubrication, and inspection, in the hands of operators. Planned maintenance: Maintenance tasks are scheduled based on expected or measured failure rates, reducing instances of unplanned downtime. Quality Maintenance: Design equipment so they can detect and prevent errors in the production process in order to eliminate quality defects. Focused Improvement: Small groups of employees work together proactively to achieve regular and gradual improvements in equipment operation. 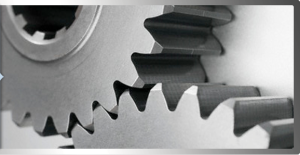 Early Equipment Management: Experience from previous maintenance activities is used to continuously improve machines. Education and training: Knowledge and skills are considered essential for the successful implementation of TPM. Safety, Health, Environment: A safe and healthy working environment must be maintained. TPM in Administration: TPM benefits must be extended beyond the plant floor by addressing waste in administrative functions. Improved productivity by reducing losses. Improved quality by reducing defects and detecting them at an earlier stage in the process. Increased employee ownership through autonomous maintenance. Improved working environment. It promotes a clean and organized work environment. Increased customer satisfaction by improving delivery times. TPM is fundamental to achieve lean production. It helps organizations eliminate wastes and ensure that quality is maintained in each stage of a process, thus contributing to achieve customer satisfaction.